Chris started his career with Mansfield Town, rising up through their youth ranks to sign his first professional contract. He went out on loan to Worksop at the end of the 2003/2004 season before being released. After a trial at Doncaster Rovers, he signed a short term deal, but left in December 2004, and went to Kidderminster Harriers for the remainder of the season. In the summer of 2005, he rejoined Mansfield Town but found himself out of the first team, and he arrived at Nene Park on 19 January 2007 for a one month loan period. After scoring twice in three League games, Chris signed a 1½ year deal on 31 January just prior to the closing of the transfer window. Despite this, he only started a further 4 games for Diamonds, including the Hillier Senior Cup Final at Woodford United, where he scored a hat-trick to lift the Cup. 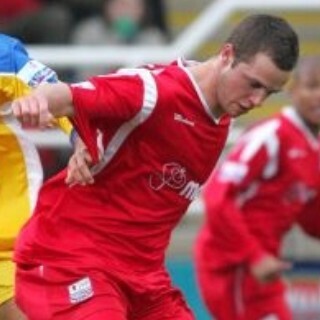 With the departure of manager Graham Westley, Chris left by mutual consent in the summer and joined York City on 19 June 2007. 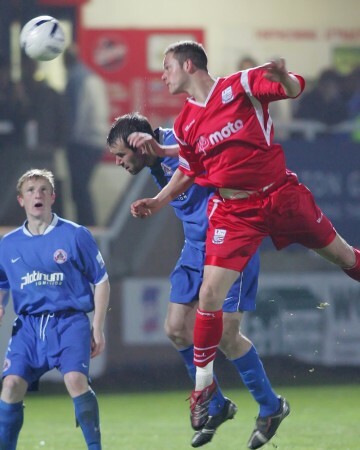 He struggled again to secure a first team place, and went on loan to Kettering Town in December 2007 for the rest of the season, making a permanent move to the Poppies in the summer. In November 2008, he went on loan briefly to Kidderminster Harriers, and despite a successful period with Kettering, left in May 2009, and joined fellow Conference side Stevenage Borough, helping them to the Conference title. He remained with Stevenage into the Football League, although an injury in September 2010 limited his appearances for them. Chris left the club at the end of his contract on 1 June 2012 after 22 goals in 117 appearances. He spent ther pre-season with his former manager Graham Westley at League One side Preston North End, joining them on 11 August 2012. On 31 October 2013, Chris joined League Two side Bristol Rovers on a one month loan deal, later extended until 5 January 2014. He was released at the end of the season, and re-joined League Two side Stevenage on 12 July 2014. He joined Mansfield Town for the 2015-16 season, retiring from playing full-time at the end of that campaign. He became fitness coach at Burton Albion in the summer of 2018. His Wikipedia page is here.